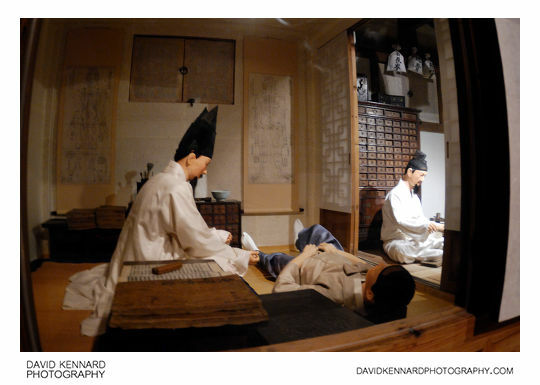 This post is part of a series on our visit to Gyeongbokgung Palace on the third day of our Holiday in Seoul, Korea. If you haven't read the first part, that's here: Korea day 3 pt. 1 - Seoul Metro to Gyeongbokgung Palace. 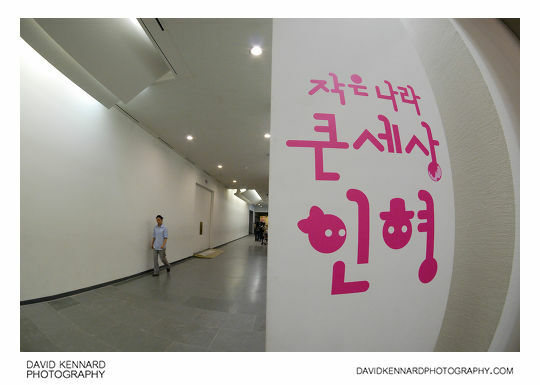 After watching the Pungmul performance, we went into the main building of the National Folk Museum of Korea. 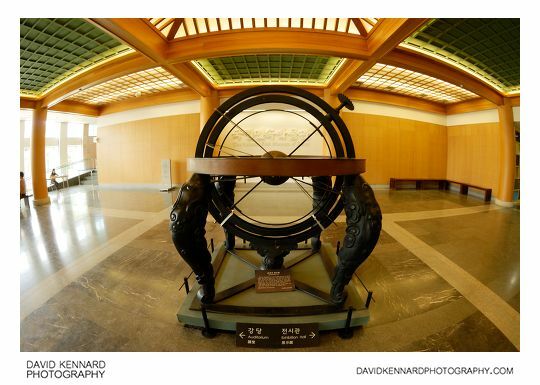 Inside the lobby area they had a large celestial globe, called Honcheonui (혼천의). The Honcheonui was built in 1433 by Jang Yeong-sil, under order from King Sejong the Great (I'm pretty sure the one in this photo is just a replica). Unfortunately flash photography wasn't allowed in the museum (although I did see quite a few people using compacts with flash – maybe they just didn't know how to turn the flash off). 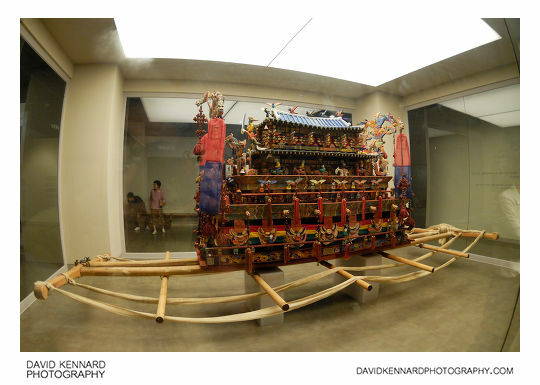 So the combination of high ISO, wide aperture, and slow shutter speed meant that my photos from inside the museum have mainly turned pretty mushy. In hindsight I probably should have pushed the ISO up a bit more, but it's hard to tell from the camera's LCD whether your images are suffering from camera shake. Anyway, I was there to look around rather than take photos. 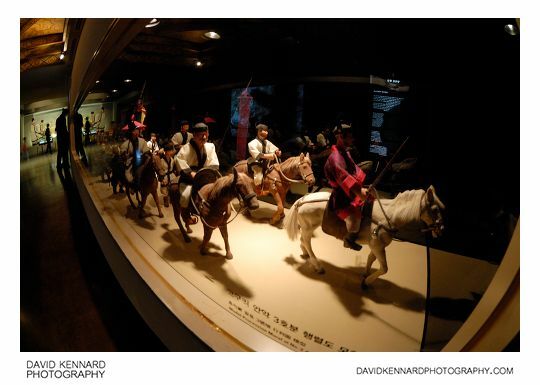 The photo below shows a model procession in one of the display cases. Unfortunately I have no idea what event the model is meant to be showing. A bit further on we had our first encounter with Jangseung (장승). 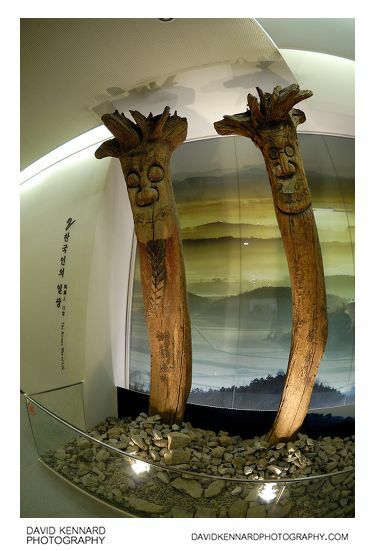 Jangseung are wooden posts carved with funny faces, they would placed on village boundaries to scare away evil spirits. 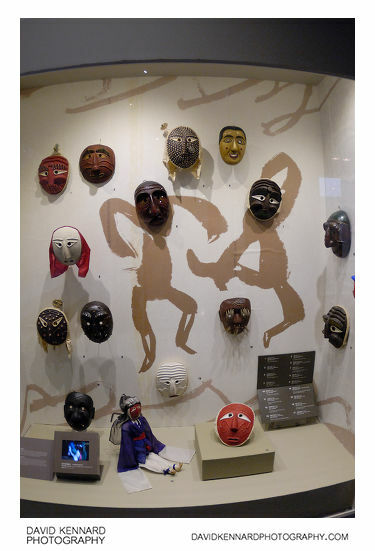 Korean masks have a long tradition, with use in a variety of contexts. They were used in war, on both soldiers and their horses; ceremonially, for burial rites in jade and bronze and for shamanistic ceremonies to drive away evil spirits; to remember the faces of great historical figures in death masks; and in the arts, particularly in ritual dances, courtly, and theatrical plays. 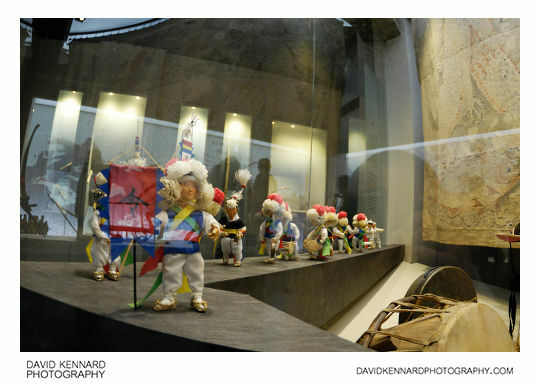 The present uses are as miniature masks for tourist souvenirs, or on cell-phones where they hang as good-luck talismans. In Korea the placenta of a newborn baby was believed to contain the baby's vital energy. 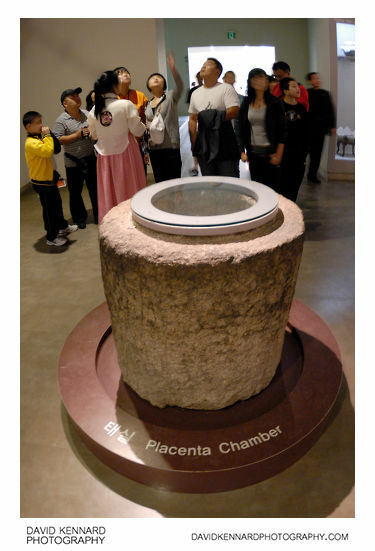 In royal and noble households, the placenta would be stored in a jar, which was placed in a special underground chamber like the one shown above, known as Taesil (태실). Divination was used to determine the day for this ceremony to be carried out, which would take place in the mountains. For more information see the Wikipedia article on Taejang. 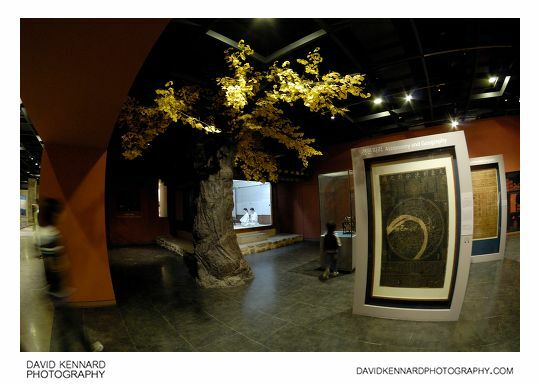 There is an artificial tree inside the museum, not sure why. 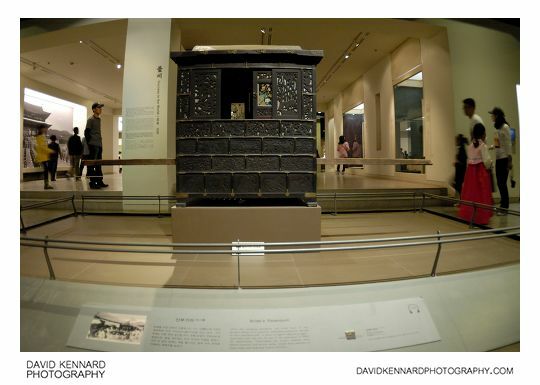 And keeping on the wedding theme, here's a photo of the Bride's palanquin. 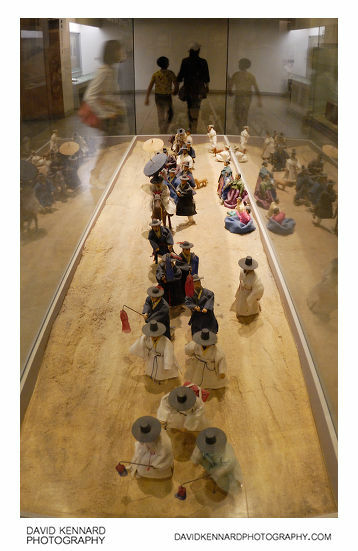 The wedding would take place at the Bride's home, then after the wedding ceremony the bride would be carried to her husband's home in a special palanquin known as a gama (가마). This type of funeral Bier is called a sang-yeo (상여), and was used in funeral ceremonies for carrying a corpse to the burial site. 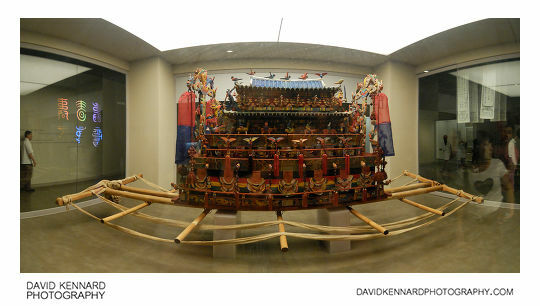 The design of the sang-yeo is similar to a palanquin, with long poles on both sides, which would be be shouldered by between 12 – 24 pallbearers. Most villages would have a sang-yeo for common use that could be disassembled, and would be stored in a building near the village. The next photo I couldn't find any info on despite my extensive searching of the internet. From memory though, I think these chairs were used in confucian rituals to honour the dead. 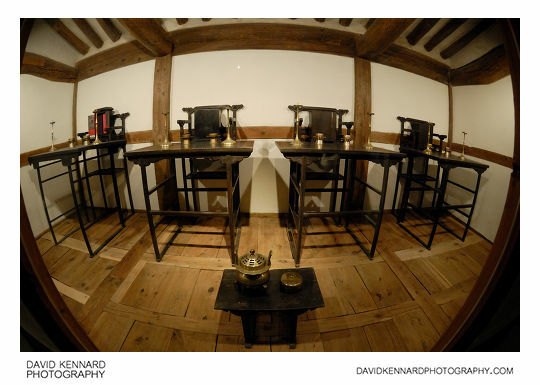 Food and drink would be offered to ancestors at these special seats as part of ancestor veneration ceremonies. 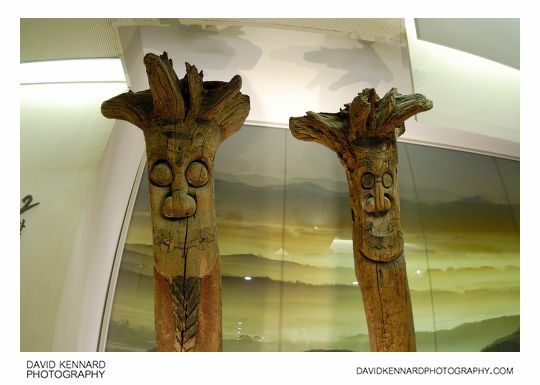 It was thought that the spirits of ancestors would protect and look after the living. And this last photo is just some stylized Hangeul (Korean script) about the World Dolls Party exhibition/display that was being held at the museum. I can't remember if we saw the actual exhibition or not, I didn't take any photos of it anyway.